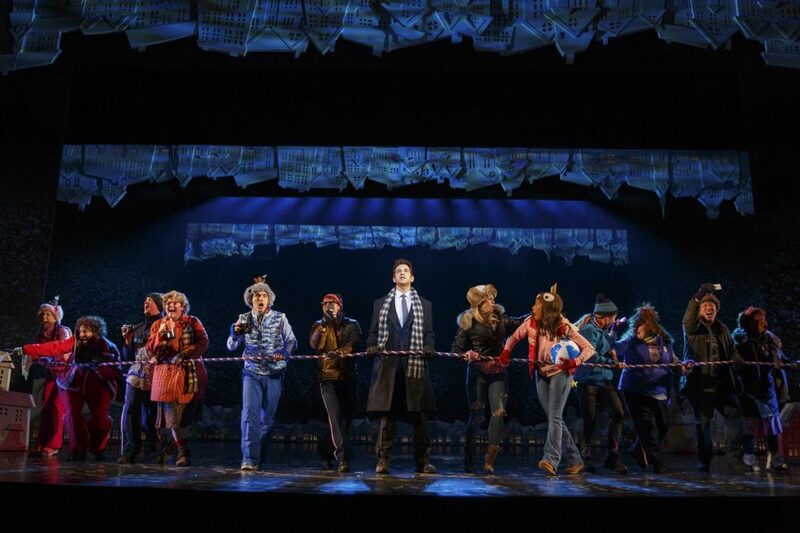 The new Broadway musical Groundhog Day will play its final performance at the August Wilson Theatre on September 17. The show began previews on March 16 and opened on April 17. By closing, Groundhog Day will have played 31 previews and 176 regular performances. The show will kick off an 18-month national tour beginning in 2018. Details of a new London production will be announced. Based on the 1993 movie of the same name, Groundhog Day stars two-time Tony nominee Andy Karl as TV weatherman Phil Connors, who reluctantly goes to cover the story of Punxsutawney Phil for the third year in a row. He awakes the "following" day to discover that it's Groundhog Day again, and the fun happens again and again and again. He soon realizes he must take advantage of it in order to secure the love of coworker Rita (Barrett Doss). Groundhog Day features a book by Danny Rubin (who cowrote the screenplay) and a score by Tim Minchin. Matthew Warchus directs with choreography by Peter Darling. Groundhog Day was nominated for seven 2017 Tony Awards, including a nod for Best Musical and leading man Karl. In addition to Karl and Doss, the cast of Groundhog Day includes Rebecca Faulkenberry, John Sanders, Andrew Call, Raymond J. Lee, Heather Ayers, Kevin Bernard, Gerard Canonico, Rheaume Crenshaw, Michael Fatica, Katy Geraghty, Camden Gonzales, Jordan Grubb, Taylor Iman Jones, Tari Kelly, Josh Lamon, Joseph Medeiros, Sean Montgomery, William Parry, Jenna Rubaii, Vishal Vaidya, Travis Waldschmidt and Natalie Wisdom. Broadway.com customers with tickets to cancelled performances will be contacted with information on refunds or exchanges.